This year Kat and I made it to our first big romance reader event! 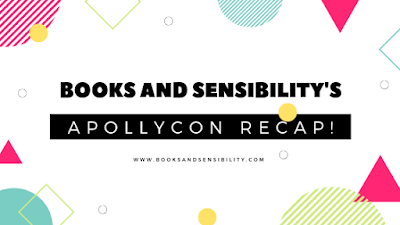 ApollyCon is only 2 hours north of us and has been on my radar for years. What started as a signing for Jennifer Armentrout fans has turned into a 3-day fan convention. The big reason I wanted to go this year was to meet Elle Kennedy. 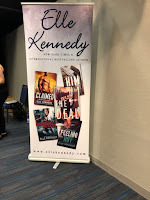 Kennedy has become very well known for her New Adult Briar U series but I'm a big fan of her romantic suspense Killer Instincts series and this seemed like the perfect opportunity to meet her. 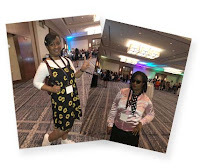 We arrived on Friday evening to register at the event hotel, The Hyatt Regency Crystal City, a very chic hotel with a restaurant and coffee bar. We didn't stay in the event hotel and after getting our badges we grabbed dinner at Shake Shack. I went to sleep early so I could get up and get a ticket for Elle Kennedy's signing. I got in the ticketing line a little before it opened and met some readers who were also first-time attendees. I was able to get tickets for all of the authors I wanted including Christina Lauren--which I did not think would happen. The event was very well planned and I think the organizer's decision to split the rooms was a great idea. 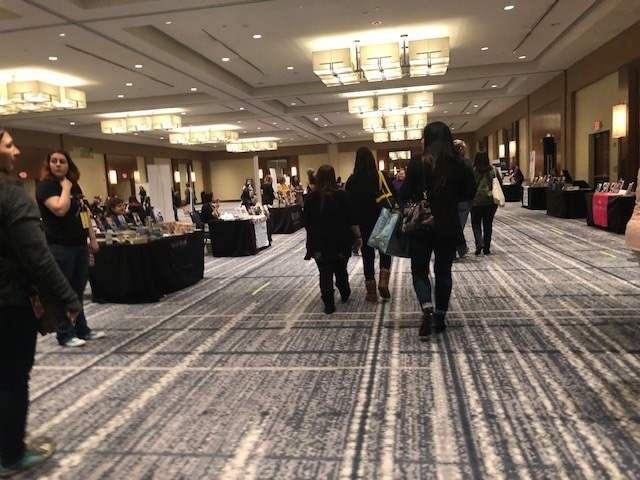 It allowed readers to take their time browsing the signing floor and kept lines short--so much so that pretty much all of the ticketed authors opened up. 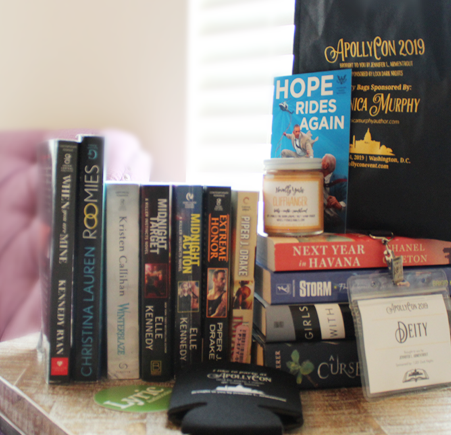 Novelly Yours Candles was also there and The Bookworm Box was selling mystery bags! After the signing, we attended the decades themed after party and some people really brought it with their costumes. Some big moments that stood out for me were how approachable the authors were across the spectrum, whether they were NYT bestsellers, independent or traditionally published. I mean Christina Lauren were literally just standing there interacting with fans. Their publicist Kristin was very nice, they had sold out of Christina Lauren in the bookstore and she tipped us off when more came in. 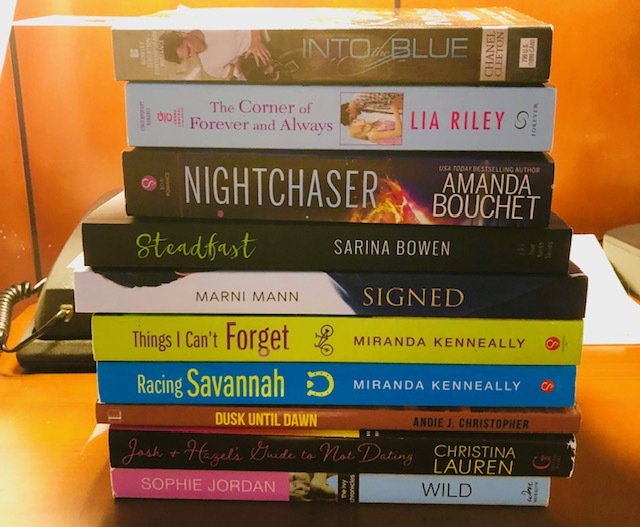 I also had a chance to meet Kirsten Callihan, Kennedy Ryan, Suzanne Young, Chanel Cleeton and Brigid Kremmer. My opening for most of them was "So I heard your interview on this podcast . 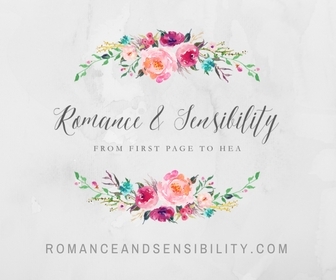 . ."
I also met romance narrators--Lia Langola, Bailey Carr and Emma Wilder--whose work I can't wait to check out! Also on the audio front, I chatted with Andi Arndt at the Lyric Audiobook table. Jennifer Armentrout and her team put a lot into this event and her fans really appreciate it. At the end of the after party Armentrout (and cover model Drew Leighty) took pictures with and hugged everyone in line. The way she thanked and interacts with her fans is very personal. My only critique is that I do feel like a lot of the event planning, announcements and cancellations happen on Facebook and Instagram which can leave some readers out of the loop. I also heard there were some upsets regarding the Sara J. Maas signing. 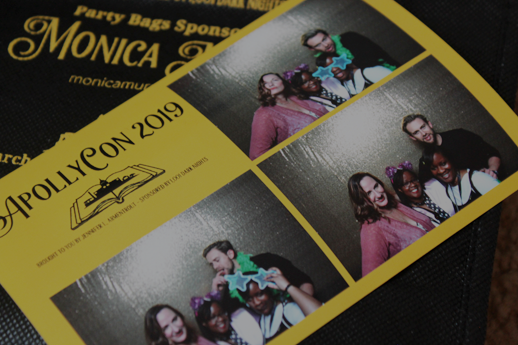 First of all: The people behind ApollyCon are so well coordinated they probably could have saved Fyre Fest. I feel like so much happened in such a short time, but I'll hit the highlights. I took a much more laid back approach than Jess. I didn't go to the signings when the doors opened and didn't get up early for tickets. The only ticketed author I wanted to see was Sarina Bowen but nothing of hers I wanted was for sale in the official bookstore. When Bowen's line opened up to everyone a few hours into the signing; I went to see if I could just get a bookmark signed and she told me I could purchase the copy of Steadfast she had on display! She was so nice about it and we even chatted about having the same clear credit card that always gets lost. I can't remember anything book-ish we talked about but it was a pleasure meeting her and narrator Tanya Eby. - Signed by Marni Mann. Her story in the Mixtape anthology left me wanting more so I picked this up. Her husband seemed super supportive and was at her table acting as a great publicist. - Josh and Hazel's Guide To Not Dating by Christina Lauren. I didn't think I'd meet them because they are so high profile but an hour before the signing ended they had literally no line so I rushed out and got this. - Dusk Til Dawn by Andie J. Christopher. I loved her interview on Wicked Wallflowers and I am so excited for her new book. Plus, she brought her dog along. - The Corner of Forever and Always by Lia Riley. 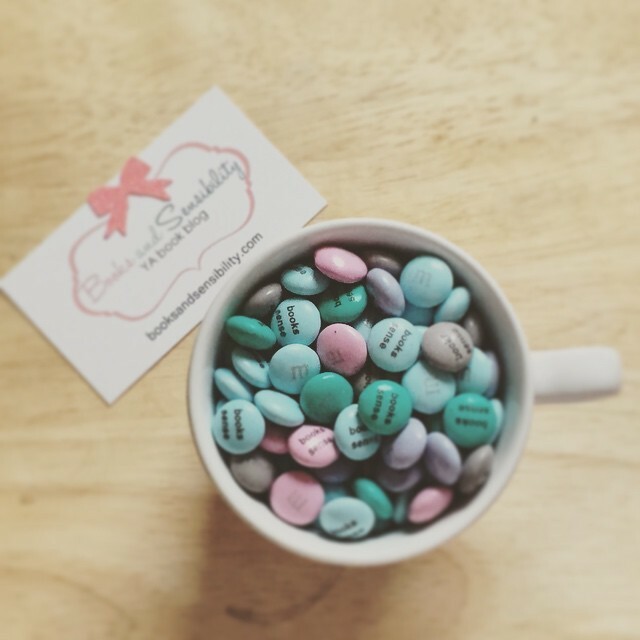 I chatted with Riley about being an Avon Addict and about a coffee shop in her book. She was so nice and took this book off the display and gave it to me. I also chatted with Chanel Cleeton, Amanda Bouchet, Miranda Keneally, Sophie Jordan, Andrew Shaffer and Sonali Dev. 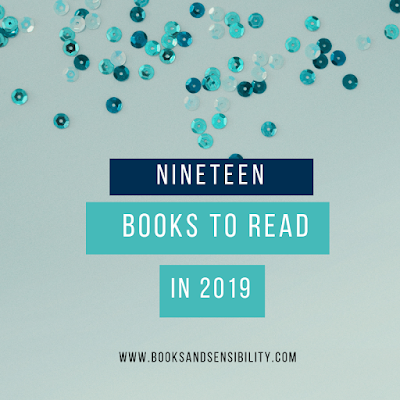 Everyone was friendly and I felt bad that I couldn't buy physical copies of everyone's books but my digital TBR and library request list has grown. I thought the decade's themed afterparty was so fun, the costume game was on point. At the afterparty, I spotted Tif Marcelo (after seeing her ApollyCon posts on Twitter) and said hi since she is coming to visit my local indie in May. She was so personable and open. 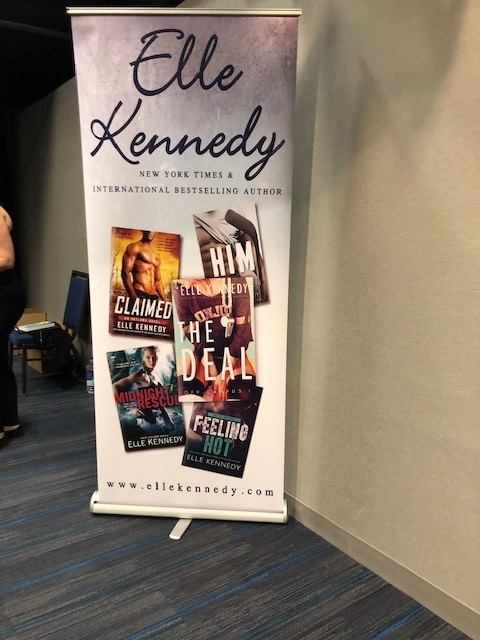 My other favorite part of this event (and all events) is being around so many readers and specifically these readers who all speak the same language of romance novels. 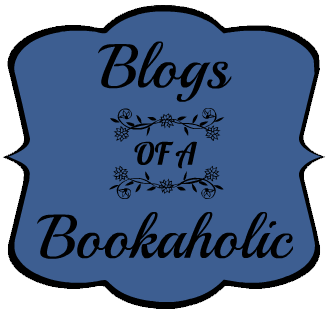 It's always fun to overhear people having IRL conversations about the things I only see on the Bookish Internet. I hope I can go next year and if so, I want to take time to talk to authors who I am not familiar with. If you are thinking about going to Apollycon 2020 tickets go on sale May 9th at 8PM and be ready because they go fast! Two authors at the event were reading Red, White & Royal Blue by Casey McQuiston...can't wait to see the splash this book makes.